is warning of what is in the news today, OCT 2012. THE HEBREW YEAR 5773 AND ENDS SEPT 4 2013. IS THE MOVIE, "KNOWING" BASED UPON THIS SITE? In the movie "KNOWING" with Nicolas Cage, it shows a science professor who finds an "alien" code that predicts disasters leading to a global cataclysm. He tries to use the code to prevent this cataclysm but fails and earth is destroyed yet select children are "saved" by being RAPTURED into heaven (another planet) by the good aliens. Many people write to me and tell me the movie "KNOWING" seems based upon our site, this Pastor Harry, Bible Code and my code research. WHAT IS CLEAR IS THIS MOVIE, "KNOWING" IS PROMOTING THE RELIGION OF ANTICHRIST WHEN HE COMES AND HIS EXPLANATION FOR THIS RAPTURE- EVENT = ALIEN ABDUCTION. Before I show you my Pastor Harry- Rapture Code, there is a precedent and model for this event in the Bible, in The Book of Genesis. Can the same be said for you? Can you, in all honesty, substitute your name for Enoch? I hope that you can. (Lu:21:34-36 KJV). IS 2010 - 2011 AD THE YEAR FOR THE FIRST RAPTURE EVENT AND THE START OF THE BIBLICAL APOCALYPSE? 2 FEB 2003. The day after Columbia Space Shuttle Exploded over Texas, I did a Bible Code Search. I found COLUMBIA - EXPLODES-- DALLAS - THE SEVEN - GREAT SORROW- ISRAEL. *Columbia exploded over Dallas, Tex, among the SEVEN Astronauts lost was ILAN RAMON, the national Hero and Pilot of Israel, joy turned to great sorrow and mourning. People often ask me if my name is found in The Bible Code? And encoded with any prophetic data about the Rapture, Antichrist, Tribulation? "Speak" is encoded 1 time, "Unto" is encoded 55 times, "The" is encoded 1 time and "Nations" is encoded 223 times, all around and intersecting My name, HARRY WALTHER". 10 APRIL 2005, We started our internet radio show, DOOMSDAY TALK RADIO. This fulfills the first part of my Bible Code as I am "SPEAKING TO THE NATIONS"... Live- Six Nights A Week Via an Internet Radio Broadcast. 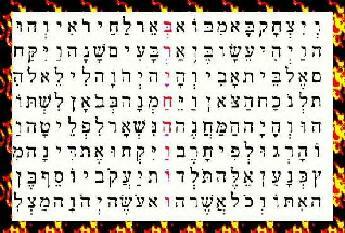 I found the above Bible Code using my Bible Decoder Program. This matrix actually shows my name, HARRY WALTHER, encoded with RAPTURE and the year, 2010 & 2011 (5770 and 5711) AD Hebrew Calender and "RESPITE". English version of this Hebrew Matrix. This code actually shows myself (HARRY WALTHER) going up vertically from RAPTURE- 2010 - 2011 AD at the base. At the top is FIRST FRUITS which represents the First Fruits of the Christians who are accounted WORTHY (encoded) and taken through the OPEN DOOR (encoded) into Heaven. The year 2010 is the Hebrew year of 5770 which starts SEPT 19, 2009 and 2011 AD is the Hebrew Year of 5771 AD. This actually starts SEPT 9 2010 AD in our English (Gregorian) Calendar and runs to SEPT 28 2011 AD ( Hebrew Calendar is 3.2 months ahead of our English Calendar). "First fruits" is an actual Holiday in The Hebrew Calendar. It is SHAVUOT, which celebrates both the "first fruits" of the Harvest as well as The Day believed to be when GOD gave The Torah, The Five Books, To Moses. AND THE GREAT TRIBULATION STARTS? JESUS tells us that No One knows the "Day or Hour" when the First Rapture will happen and the Tribulation will start." I believe that MAY 19-20 2010 and JUNE 8-9 2011 AD is one of five possible Encoded Dates ("five futures") when The First Rapture can happen. I WILL REVEAL THE THREE MORE DATES IN JAN: 2010. If GOD tarries much beyond the year 2011 AD, there may not be a world left to save and The Divine Plan of Revelation and the "Great Harvest of Souls" (Rev:7:14) just a dream. The word RAPTURE and COMET are encoded together in many Bible Codes. It is very possible that the First Rapture Event will happen in conjunction with the sighting of The Comet Planet: 2010 AD. Just before 2012 AD, The Mayan Year For Great Destruction to come upon the world and possibly by a Comet, The Ancient Comet Planet? Could the names of every person who is taken in The First Rapture be found in The Bible Code? Well that is one code I don't want to be down here to discover, how about you? Why would I be encoded with being Raptured Into Heaven in 5770 or 5771 (2010-2011 AD) with The "First Fruits"? 1) First and foremost, because I was open to know The Truth about The Rapture and Bible Prophecy. 2) Because I acted in Faith, teaching and promoting The Truth of Bible Prophecy, as The Prophecy of The Church of Philadelphia and Two Raptures since 1986 with my banned book, THE ANSWER- TWO RAPTURES. SATAN'S RAPTURE, the updated version of my 1986 book on TWO RAPTURES in REVELATION. Maybe I earned my code, the hard way, by Enduring The Attacks of the Church Puppets. UPDATE: 20 April 2009: Israel said they have until JUNE 2010 to stop Iran's nuclear program or its too late. 26 JULY 09: Iran warned that if Israel attacks their nuclear facilities, Iran will launch a cascade of missiles and destroy Israel's nuclear power plants and their capital city, Tel Aviv. 26 JULY 09, The Obama Administration has no plan to STOP Iran's nuclear weapons program and believes an "umbrella of anti-missiles" is the best defense, which will not protect Israel. I believe the chances are very high that the Bible Code could be correct about The First RAPTURE -- 2010 AD - 2011 AD -- WORTHY TAKEN. Note: All Bible Codes posted on this site are suggestive, possible futures and not the absolute future, not absolute truth. We are just starting to understand and unlock the mysteries of The Bible Code. Just as with the discovery of The DNA Code, today scientists have learned alot but this is only about two-percent of all there is to be known. HIS OWN BOOK GIVEN UNTO US? Possibly the Bible "Code-key" is the actual geometric shape of Bible Code (matrix) themselves? Possibly codes that form an Exact Cross (horizontal - verical intersect) are true codes, what will happen vs disonnected, random words and diagonal codes are possibilties. For those who accuse me of "changing my views" about The Bible Code, My views are constantly "updated" based upon new information and personal discovery. COPYRIGHT � 2002-2006 HARRY WALTHER & SATANSRAPTURE.COM ALL RIGHTS RESERVED and COPYRIGHT � 1997-2006, HARRY WALTHER and ESCAPE 666 BIBLE PROPHECY REVEALED, All Rights Reserved.